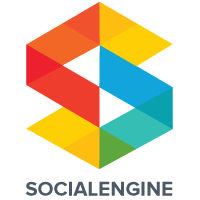 SocialEngine PHP 4.10.2 is a maintenance release that addresses a few issues reported by clients or found by our staff. Fixed - Issue with unix servers and file names for LinkedIn and YouTube profile questions. "Choose Multiple Networks you want to share with:";"Choose Multiple Networks you want to share with:"
Fixed - Issue with Android and a few other mobile devices with adding activity feed posts and duplicated text input. Fixed - Edit profile pencil icon showing to guests. A complete changelog is available for more details about the changes and fixes implemented in this 4.10.2 maintenance release. The Forum plugin is the only plugin that had changes other than the main core. I can't seem to find the upgrade files. They do not appear in my Dashboard. Is that because I'm on a trial? I also sent an email through the website about this. Thank you, once again, for your time! Once you have a paid license you will have the upgrade files. I forgot about that. You could install a fresh trial in a development folder. Making sure one of them is closed to the public.